This Artistic Weavers Cisterna area rug adds a touch of modern flair to the design of any area in your home. This indoor piece is made from plush jute material, which is high quality and high fashion. Contemporary comfort comes in the form of this hand-made rug. This purple rug has a stylish solid pattern for your modern dicor needs. This unique and stylish Artistic Weavers Middleton Georgia area rug will tie any room together in your home. Designed for your hallway, dining room, or living room, this indoor piece made from plush wool material looks and feels great. Modern style and construction is combined in this hand-made rug. Add this oriental patterned red rug to the dicor of your home for a contemporary infusion. Improve the overall interior design of your living room, dining room, or hallway with this Artistic Weavers Vogue Everly area rug. Crafted to be an indoor piece, its plush cotton material is unique and comfy at the same time. Its hand-made construction is sure to endure the constant treading of feet and furniture. Modern style meets quality in this trellis patterned purple rug. Cisterna Purple 5 ft. x 8 ft. Indoor Textured Rectangular Area Rug This Artistic Weavers Cisterna area rug adds a touch of modern flair to the design of any area in your home. This indoor piece is made from plush jute material, which is high quality and high fashion. Contemporary comfort comes in the form of this hand-made rug. 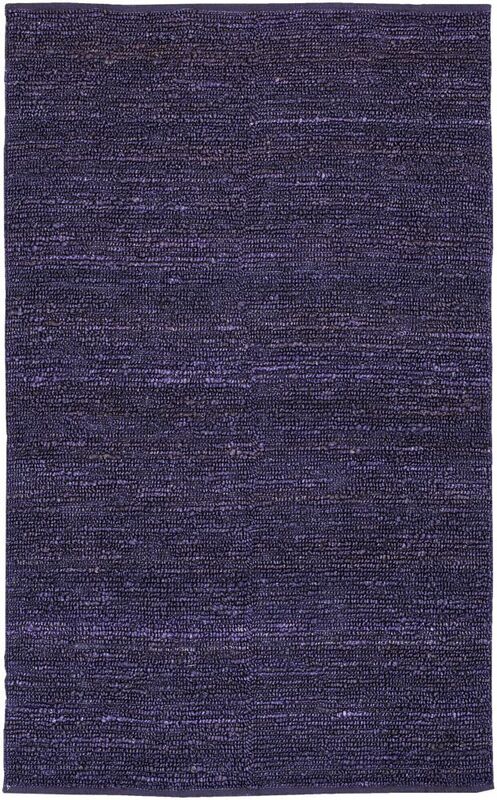 This purple rug has a stylish solid pattern for your modern dicor needs.